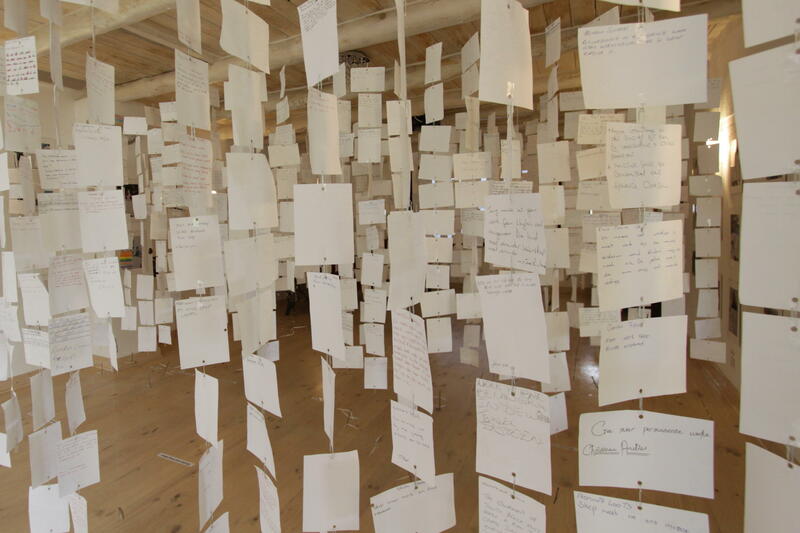 This collaborative exhibition documents the result of a six month project that gathered the opinions of more than 2000 Prince Albert people in their answers to the question: If your voice could reach the ears of the world, what would you most like to say? From February till August 2014, volunteers approached individuals on the street, at home and at the various institutions in town, including the schools, the old age home, correctional services, the various community projects, the library, the shops and the municipality. 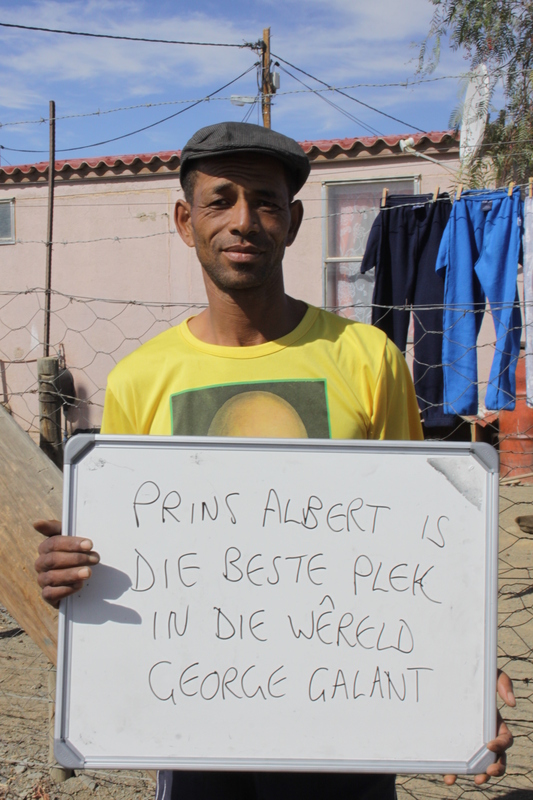 To participate, residents of Prince Albert (and some visitors to the town) were asked to write down their name and surname and their answer to the question in whatever language they preferred, and to place their card in a collection box. 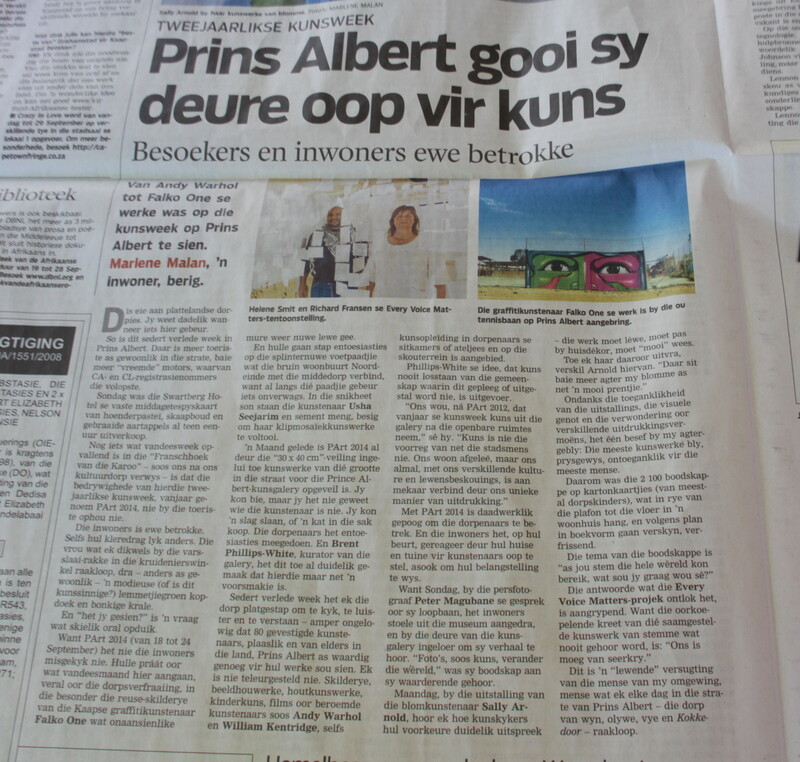 The outcome of this process was exhibited at PArt 2014, the Prince Albert Arts Festival in September 2014. In total, almost 2100 people gave their answers to the questions. All the original answers are displayed. These answers were also captured electronically and grouped into common themes. Project Participants: Project leader and curator: Hélène Smit; Project coordinator: Mariette Heskwa; Project advisor: JP Meyer; Project volunteers: Richard Fransen, Sharon Abrahams, Ferdi Willemse, Bodo Wenz, Sophia Morris, Sharon Abrahams, Lorencia Hesqua, Violetta Makwatie, Kurt Coetzee, Joey Coetzee, Jolene Valintine, Nicolene Hendriks , Elcardo Blom, Delroy Apies, Ivan Spogter, Sandy Bower, Ilse Schutten, Annette Coetzee, Carol Howes, Lorna Verran, Michael Upton, and approximately 30 other youth volunteers. The exhibition is part of a larger project based on the goals of The Depth Leadership Trust. The unconscious mind, whether individual or collective, is often contained in voices that are not obviously powerful and so interventions are needed to help those voices to be heard. The Trust’s initiatives ensure the application of depth psychology principles in ordinary living, leadership and citizenship which practically means encouraging the constructive expression of all parts or voices of a community. This is done through the development of individual and collective creativity, dialogue and action, so that conflict is resolved, power imbalances are transcended and our full constructive potential is unleashed. The Trust is headed by Helene Smit, a lecturer, group facilitator and author, who specialises in developing psychological literacy and collective processes. 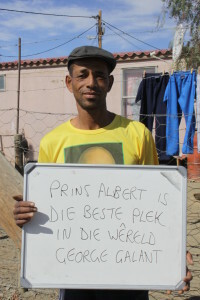 The project is a collaboration between the Trust and many of the local residents of Prince Albert. I walked into this exhibition and it took my breath away. Just the power of the messages floating on their pieces of paper was enough to send a message into my heart – without even reading one. A very powerful, incredibly sensitive exhibition. You need to take this to other places too. Very powerful! Thank you. Saskia Johnson. Lovely – Every Voice Does Matter. Thank you. The politicians should come and read these messages. Amazingly though provoking and honest!! Yanni and Sonia Vosloo Durban SA. Moving, insightful and so well thought through. Thank you. Angela. I hope the voices are heard by everyone who needs to hear. In the small Karoo village of Prince Albert, sitting quietly at the foot of the Swartberg mountains, Every Voice Matters. Six months later nearly 25% of the town’s population has answered. 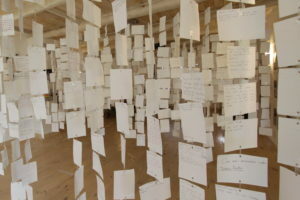 The 2 100 messages collected – on handwritten cards – were displayed in the Depth Leadership Centre, as an installation at the biennial Prince Albert art festival. This year’s event took place between 18 and 24 September, with 80 artists participating under the theme ofbringing art back home. Volunteers approached individuals on the street, at home and at the schools, the old age home, the prison, various community projects, the library, shops and the municipality to solicit their contributions. “Many of our encounters took hours because people wanted to tell us their stories,” said Smit. “The themes emerging from the answers included suggestions about how to make the world a better place; varying levels of distress about a range of social ills; dissatisfaction about service delivery; and offerings of individual wisdom, wishes, dreams and declarations of love for Prince Albert and South Africa,” she summarised. 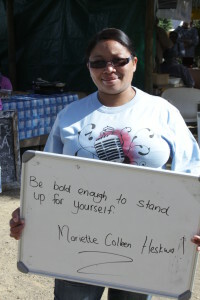 One such category, probably echoed throughout South Africa, included concerns voiced about corruption. Corruption Watch’s executive director David Lewis was taken with the project and has agreed to travel to the small town to hear more about people’s concerns.